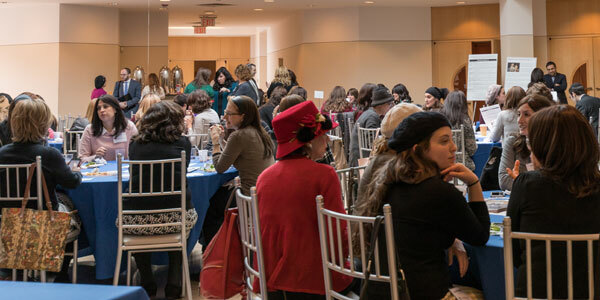 From November 13 to 14, approximately 200 rebbetzins [rabbis’ wives] from across the United States and Canada gathered together for the Rebbetzin Esther Rosenblatt Yarchei Kallah for Rebbetzins. 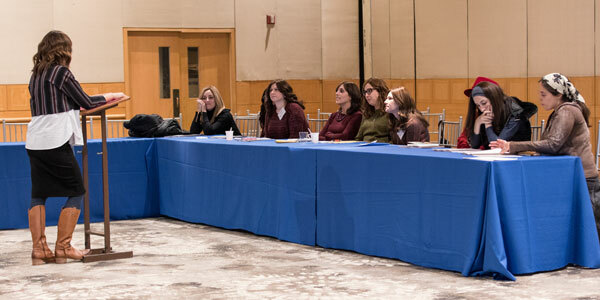 The Yarchei Kallah was organized by Yeshiva University’s Center for the Jewish Future (CJF) and held at Congregation Keter Torah in Teaneck, New Jersey. 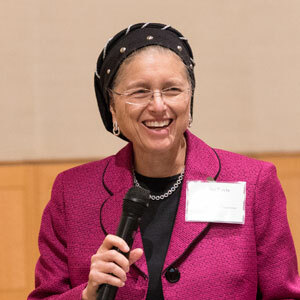 The focus of this year’s event was “Olam Chesed Yibaneh: Chesed in Our Homes, in Our Communities and in Our World,” and the issues on the agenda touched on many different topics, including the philosophical (the pursuit of peace in halacha), the day-to-day (the discipline of children, a professional wardrobe), the therapeutic (identifying clinical issues in congregants) and the financial (fiscal fitness for young couples), to name a few. 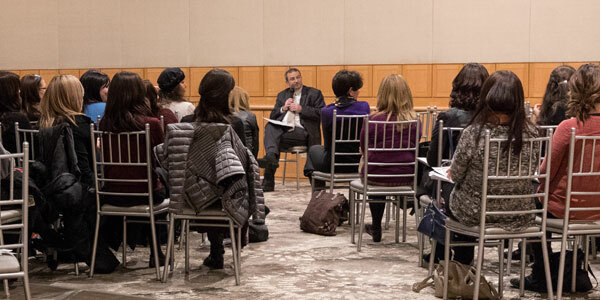 The event also featured an impressive roster of speakers, including Rabbi Dr. Ari Berman, president of Yeshiva University; Dr. Danielle Wozniak, Dorothy and David Schachne Dean at Wurzweiler School of Social Work; Daniel Pollack, professor at Wurzweiler and an expert in child safety issues; and Keshet Starr, managing director of the Organization for the Resolution of Agunot (ORA). A highlight of the first day was the opportunity to have a conversation with Dr. Berman, about the future of both the University and the University’s connection to the larger Jewish community. 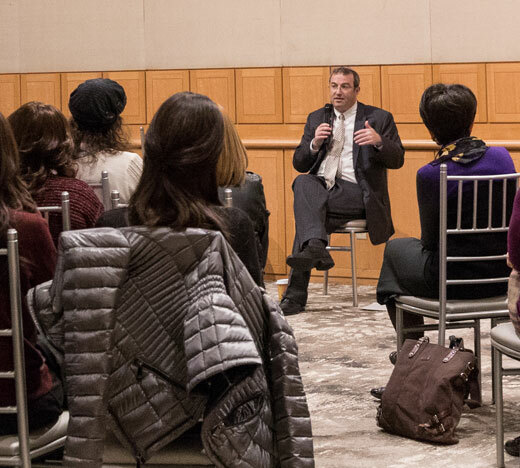 He spoke inspiringly about the “YU of tomorrow,” and how community members were supportive of his efforts to establish YU as a beacon of Jewish values and an important voice in the global conversation. He also surveyed them about what they thought were the salient issues both in the communities where they lived and in their lives within those communities. There were also plentiful opportunities for attendees to meet one-on-one with individuals and representatives of organizations on specific issues, such as domestic violence, family planning, physical fitness, pensions and retirement, making aliyah and pastoral counseling.